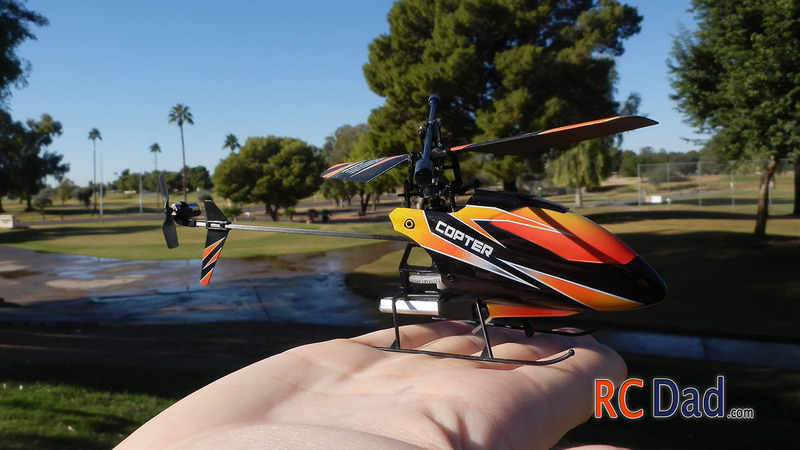 This is by far my favorite rc helicopter! The V911 is fast, responsive, and handles like a helicopters that cost 5 times as much. 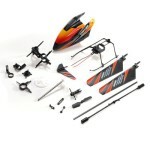 It costs less than $45, comes with 2 batteries, dual charger, and spare blades. I’ve flown tons of other rc helicopters and nothing comes close to the quality of the V911. I’ve crashed it over 30 times and it still flies like a champ! I haven’t even used the spare blades this rc helicopter comes with. 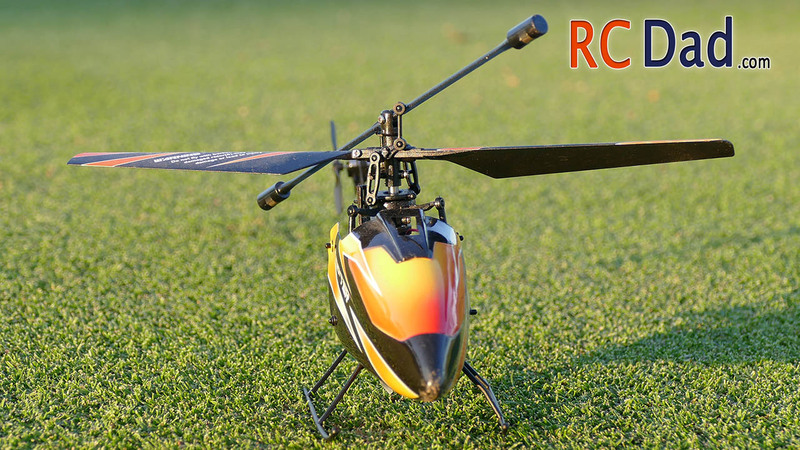 Take the time to learn how to fly this helicopter and you’ll be greatly rewarded. A huge benefit of the smaller RC Helicopters is their durability compared to larger heavier helicopters. They are also easier to recover from bad situations. This makes the V911 perfect to learn on! Whether you’re looking to just have fun with an inexpensive high performance rc helicopter or if you’re wanting to eventually upgrade to a more expensive model the V911 is the best one on the market in my opinion! 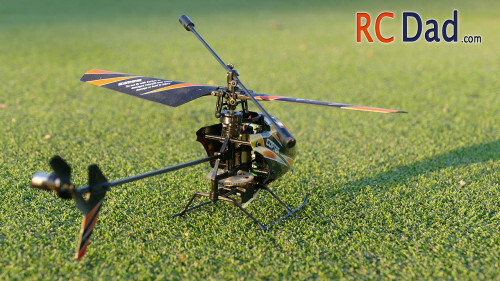 If you don’t mind waiting a few weeks for shipping you can get spare parts for your V911 rc helicopter at a very low price! And most parts are pretty easy and straight forward to replace. 1. Trim it first! 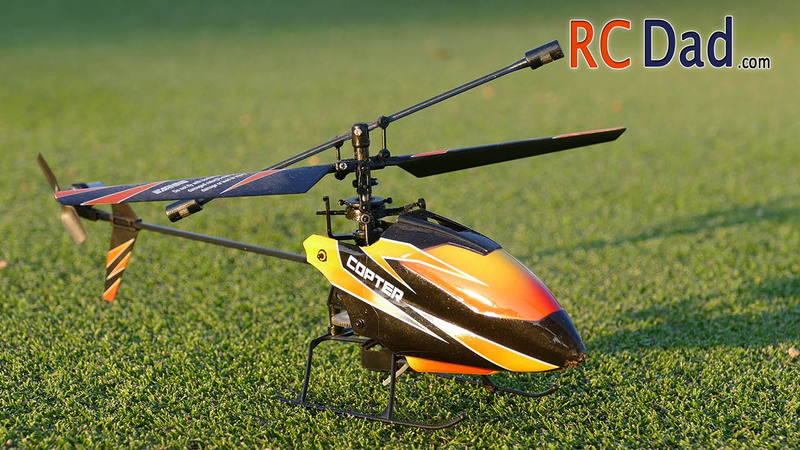 The transmitter allows you to accurately trim out your helicopter. When adjusting the trim, you want to keep your helicopter at least 5 feet off the ground and 5 feet away from any object (like a couch) that can cause the wind from the blades to blow back and make your helicopter drift. Always correct for trim in the direction you have to add control inputs in to keep it hovering in one spot. The V911 heli looks a lot like the Smya F3. 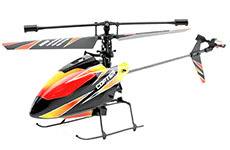 Are the parts for these helis interchangeable? If they are not the same chopper which do you think is a better chopper? Thanks for your information. They are very similar but looking closely at the parts, they are different. Overall I like the V911 better but not by much, they are both great helicopters! on the water. Our area is alot like that , we have a small lake below a large field area. It will be a beginner project, no experience in RC toys. 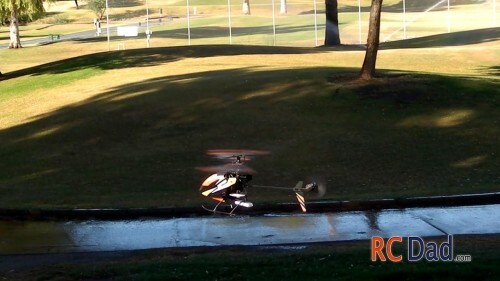 If you’re looking for a Quadcopter, the V262 is like a giant bumper boat. 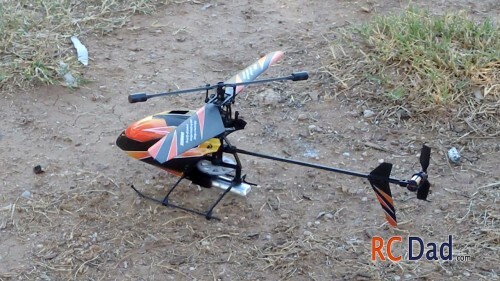 Very easy to fly and can take a lot of crashes. It also have 4 levels of performance so as you get better you can increase it’s agility! are there any batteries that i can buy for the v911 v2? Yes, this is the pack I bought http://amzn.to/1BOxFMF you can use the charger that came with the V911 V2. They will last a little longer than the stock battery too! Got mine last night. Already crashed it, more than once. Very durable, takes time to get used to the controls but once you do its amazing. Hello. 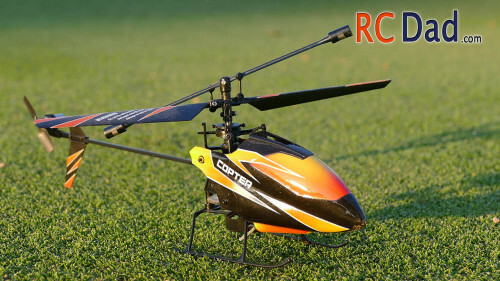 Does this Heli come with an r.c.? Yes, it comes with everything you need to fly. 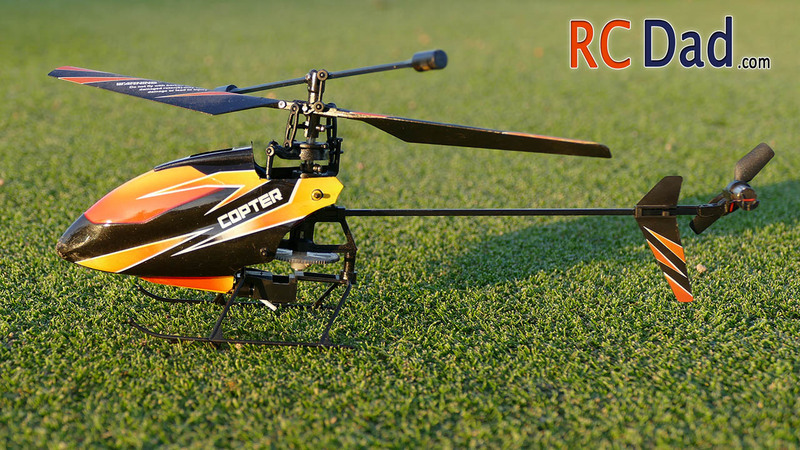 Just add AA batteries to the remote control and charge your helicopters battery! looking for some help. bought a WL V911 4 CH VERSION 2 NEW& IMPROVED FOR CHRISTMAS. IT FAILED RIGHT OUT OF THE BOX. EVEN BOUGHT THE NEW UPGRADED BATTERIES FOR IT. PUT 6 NEW BATTERIES IN THE CONTROLLER AND TURNED IT ON. LIGHTS CAME ON AND UNIT CHIRPED, AND DISPLAY LIT UP. SEEMED OK. TURNED IT OFF. THEN PUT CHOPPER ON A LEVEL TABLE,AND INSTALLED A FRESH CHARGED BATTERY IN IT . RED LIGHT FLASHED FAST FOR A COUPLE OF SECONDS, THEN SLOWED DOWN. I THEN TURNED ON CONTROLLER TO DO WHAT IT CALLS BINDING. THE LIGHTS FLASHED ON THE CONTROLLER AND THE LIGHT ON THE CHOPPER JUST KEPT FLASHING IT NEVER LOCKED ON. TRIED SEVERAL TIMES , SAME RESULTS. SENT IT BACK AND ORDERED ANOTHER ONE. I JUST GOT IT TODAY, AND WENT THRU THE SAME THING AND IT ALSO FAILS THE SAME WAY. IS THERE ANYONE WHO CAN GIVE ME A CLUE AS TO WHAT IS WRONG? I WILL BE WATCHING FOR A REPLY. Once you turn on your V911 heli then turn on your remote so they are both in “bind” mode. Put the throttle up to FULL then all the way down to zero. That will make the heli and remote control bind with one another. Let me know if that helped. ERIK; Thank you very much for your help. That got it going. I should have known that there was going to be some problems when i saw misspelled words and poor diction in the instruction manual. The manual just says to have the throttle all the way DOWN when you turn on the remote and wait for it to bind.